Our Washington military divorce lawyers can help you better understand the law. 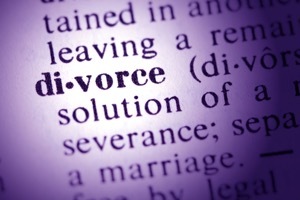 Any divorce is going to be a stressful experience that can leave you grasping for answers. A military divorce presents its own unique set of challenges because there are many laws that specifically govern this type of divorce. Both state and federal laws will play a role in a military divorce, making it far more confusing than one might expect. If you or your spouse is in the military and a divorce seems inevitable, you should take some time to get some information from our Washington military divorce attorneys. If a person is on active duty in the armed forces, they cannot be held in default for failing to respond to a spouse’s action for divorce. This law protects those in the service from not being able to actively involve themselves in the proceedings. Also, if your spouse is on active duty in the military, divorce proceedings can be postponed until their service period is completed, and 60 days afterwards. If the serviceman or woman agrees that the divorce can proceed, then there is no reason for the court to prevent further action. Many more facts must be considered to fully understand these complicated laws, and our Washington military divorce attorneys can help. Certain other requirements must be met before a military divorce can be started. If the service person is not a Washington State resident you cannot file for a divorce, and they also must be stationed within the state. They must also be personally served with a summons, including a copy of the divorce action, in order for the Washington Court to obtain jurisdiction. From there, our Washington military divorce lawyers can help with property division, and handle both military benefits and retirement. Issues involving child support are handled using the same formulas as a regular disputed divorce. Our Washington military divorce attorneys offer a free case evaluation state wide. With so many complex laws at play during a military divorce, it’s vital that you make sure you have a solid understanding of how these laws work so that you can protect your own interests. Start getting some reliable information today by talking to one of our Washington military divorce lawyers via a free consultation. In a private and confidential setting, you can start getting answers that will help you lay the groundwork for a smooth transition into a new life. If you retain one of our dedicated legal professionals they will be at your side throughout the divorce process, kindly making sure that you are protected according to the law. Contact our law firm today and put over 30 years of collective Washington legal experience to work for you.